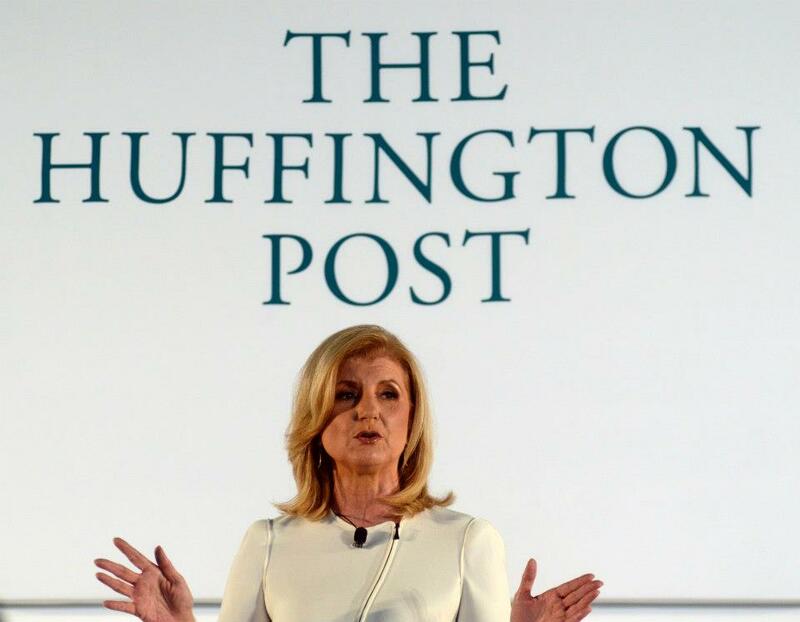 Will Huffington Post’s entry into the Gulf be a game-changer? Being in the Middle East’s media sector can often feel like waiting for a bus. You can wait for years for a new launch (post-2008 in any case) and then all of a sudden you have two of the world’s largest news portals announcing expansion plans. First we had Buzzfeed, and now we have the Huffington Post. The local site Doha News broke the story earlier this month. According to the piece, the site will be partnered by the former director general of the Al Jazeera Media Network Wadah Khanfar and his media firm Integral Media Strategies. The site will include a combination of aggregation, blog posts from a wide variety of sources and original reporting from HuffPo reporters and Khanfar’s team. Launched in 2005, the original Huffington Post redefined online media by working with bloggers to aggregate news. The site was the first online news portal to win a Pulitzer and was sold in 2011 for 315 million dollars to AOL. Besides English, the Huffington Post is published in French, Spanish, Italian, Japanese, German, Portuguese and Korean. However, how will the Arabic be received? Firstly, Khanfar was one of the driving forces behind the success of Al Jazeera. However, with him at the helm HuffPost Arabi is likely to be persona non grata in many of the Gulf states due Al Jazeera’s implied support for Islamist groups and perceived interference in the internal politics of governments across the region. In addition, much of the dialogue that the Huffington Post is looking to encourage in the region can already be found online on social media. With its base in London, five thousand kilometers from the Gulf, how will the HuffPost Arabi be able to distinguish itself in a crowded media landscape that is government controlled? I can’t wait to find out. The summer is traditionally a quiet period for the region; the same goes for Ramadan. This year seems to have been the exception to the rule. First, we had Gulf News reporting that BuzzFeed is considering opening an office in the Middle East. The website publisher, famous for its kitten memes and political coverage, apparently sees an opportunity in Arabic with a local audience, according to the piece written by Gulf News’ Alexander Cornwell. BuzzFeed, the news and entertainment website best known for its pictures of cats, wants to expand into the Middle East with the launch of an Arabic website. Launched in 2006, the United States website, which is steadily increasing its hard news content, has already launched UK, Australia, France, Brazil and Español (Spanish) editions. Since November 2013, the website has seen more than 130 million unique monthly visitors, of whom 30 per cent are from outside the United States. Scott Lamb, Vice-President of International, BuzzFeed, told Gulf News in a phone interview that the Middle East is one of two regions where BuzzFeed is most interested in expanding to. Lamb said that there is no set date for the launch of the Arabic language website and that it would have to wait until next year after Germany and India, indicating that the finer details are yet to be worked out. Asked where BuzzFeed would base its regional operations given that many major international media outlets have set up bureaus in Dubai in recent years while Beirut and Cairo are seen as more traditional regional hubs for news bureaus, Lamb said that it had not been decided. BuzzFeed New York office produces much of its Spanish content. BuzzFeed started producing hard news content in 2012 with coverage of the US presidential election. Since then it has hired Miram Elder, recruited from The Guardian, as its Foreign Editor. Internationally, BuzzFeed has had reporters on the ground covering Syria, Iraq and Ukraine. Elder has also led coverage of two topics that are heavily discussed on social media, women’s rights and lesbian, gay, bisexual, and transgender (LGBT) issues. “We saw this very vibrant conversation around the news in those two spheres [and so] we wanted a team to create original content,” Lamb said. BuzzFeed plans to continue to increase the amount of hard news content, but Lamb said it would not be stepping away from the traditional social media friendly content of cute cats and quizzes that it is still best known for. “Ideally, we are looking for a 50/50 mix … we try and keep it very balanced,” he said. As if the thought of cat memes alongside Arabic-language LGBT news wasn’t enough, the second piece of news was the closure of Dubai One, the English-language television station run by Dubai Media Incorporated (DMI). The channel, best known for programmes like HerSay and Out and About, will lay off 80 percent of its staff as reported by Arabian Business. Dubai One was created to cater to expatriates in Dubai and the wider region. The channel has fallen behind the likes of satellite provider OSN and the Saudi-owned giant MBC. Sarah Ahmed Al Jarman, the general manager for Dubai One, told Arabian Business via email that “we have stopped our 4 locally produced shows”, without elaborating. Al Jarwan also referred any further questions to the DMI inhouse public relations team. And last but not least, we have to say a sad farewell to the Editor of Campaign Middle East, Iain Akerman. Iain was spoken of by those in the creative and media sectors as a journalist to be both feared and respected – he’d chase his sources for breaking news and he’d often champion investigative journalism. I once remember talking to one agency head who referred to Iain with a pained expression. Iain, I wish there were more like you here. You will be truly missed. Saudis and penguins? As they say, opposites attract. And nothing attracts more than moments of random fun. The Wall Street Journal’s Ellen Knickmeyer has written a wonderful piece about how the Penguin dance has taken the country by storm. Read her piece and the watch the video. Don’t ask why and just enjoy!